Driving force: Tom “Dr. Cue” Rossman watches a stripe fall in his first round match with Bill McCarty. 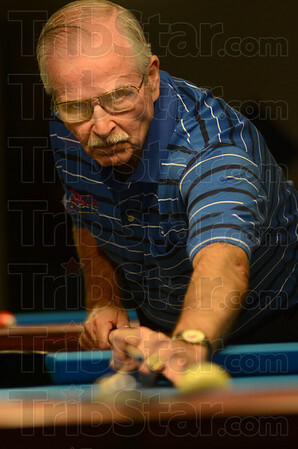 They were participating in the Dave Edwards Memorial 8-Ball tournamant At Plaza Billiards.